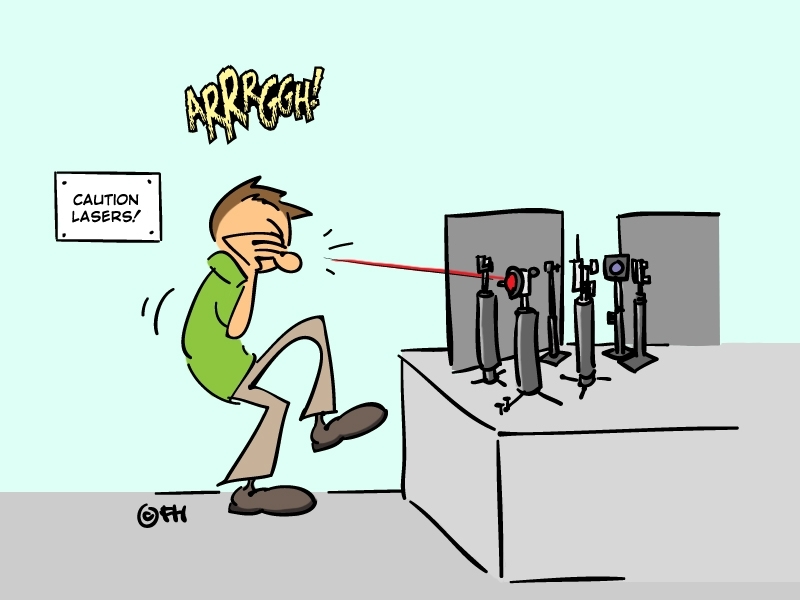 Home » Personnel » Working conditions » Working with lasers » What are the risks? 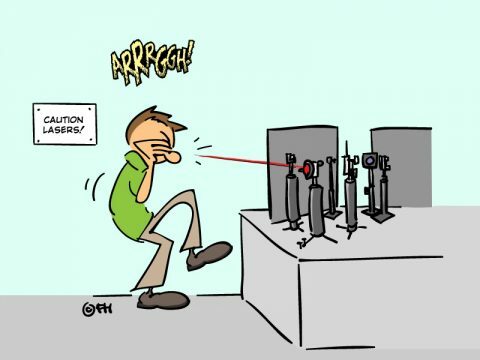 Both the direct and reflected laser beam can be dangerous for the eyes and skin. Lenses and mirrors can further increase the power and energy density. Prevent accidents by obeying the rules. Laser dyes are often carcinogenic. Also the solvents used for these are often toxic and sometimes carcinogenic. Read here about the measures you can take. See also: working with dangerous substances and gasses. During maintenance activities in particular, there is an increased risk of parts being live. Use earth rods to discharge large condensers, see also: working with electricity.